An archaeological research project on the northern Norwegian island of Flakstad has revealed new details about the lives and deaths of people who live during the Viking era (800-1050 AD). Some graves that were uncovered contained slaves who were beheaded and then buried together with their masters as grave gifts. The site was originally found in the early 1980s, and besides the human remains the archaeologists discovered a few items, including two knifes, a horse bit, a bead of amber, animal bones, parts of a whetstone and iron fragments (the graves may have been plundered or disturbed at some point in its history). The results of Naumann’s research suggest that people of rank ate more meat and other animal products than the poor did. 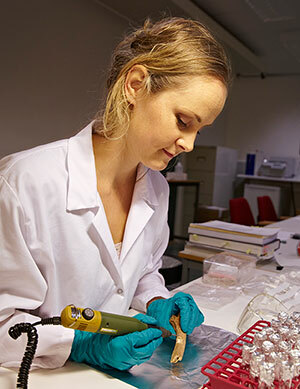 The results are also interpreted based on the knowledge that the meat of animals held a special significance in religious contexts during the Iron Age in Scandinavia. What’s interesting in this case, she says, is that one finds large differences in diet even within the same household. Additionally, the isotope analyses reveal differences in diet both between men and woman, and between adults and children.